Dell DA200: small portable device with Gigabit Ethernet, USB 3, VGA and HDMI. Dell WD15: stationary device with a size similar to a paperback book, with a 130W or 180W power brick. 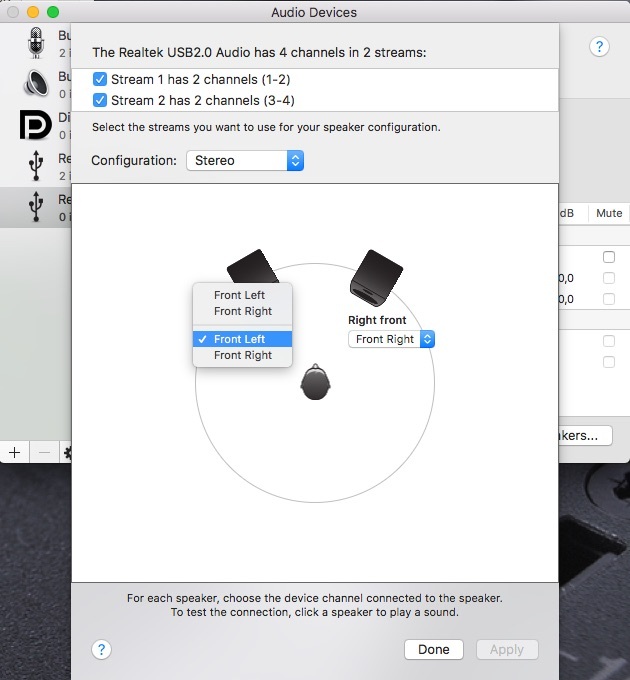 Over the DA200, it adds mini-DisplayPort, 2x USB2, 2x USB3, Speaker and Headset outputs. It also passes power through to the computer. Dell TB15: This model appears to have been recalled because it didn’t run stable and replaced with the TB16. Dell TB16: stationary device shaped like a stack of a dozen CD cases, with a 180W or 240W power brick. Over the WD15, it adds DisplayPort. Note that it connects to the computer via Thunderbolt 3 instead of USB-C, which means it can deliver higher screen resolutions (see below). First of all, the DA200 just works. VGA and HDMI run up to a resolution of 2048×1152 pixels at 60 Hz (even though Dell says it only supports 1920×1080), Ethernet works without installing a driver (it contains the same Realtek chip, PCI ID 0bda:8153, that the official Belkin USB-C adapter uses). HDCP-encrypted HDMI works fine, as confirmed by starting a Netflix video. Finally, the Dell TB16. I didn’t have this one for testing because the WD15 suffices for my application. Dell says that you can run two 4K displays or one 5K (5120×2880 pixel) display, all at 60 Hz. I assume everything else will work just as it does with the WD15. For USB purposes however, I believe this dock contains a PCIe-attached USB 3.1 chip as the USB-C Alternate Mode Partner Matrix shows that a superspeed USB signal cannot be carried if high-resolution video is transferred. According to one of my readers, it doesn’t work out of the box unfortunately. So the OS shuts down the USB hub. If you google these messages, you’ll find a large number of reports of it occurring with all kinds of USB hubs, but no solutions. So Apple just needs to get their drivers fixed. This entry was posted in Hardware + Gadgets, Mac on 2017-01-19 by Michael Kuron.